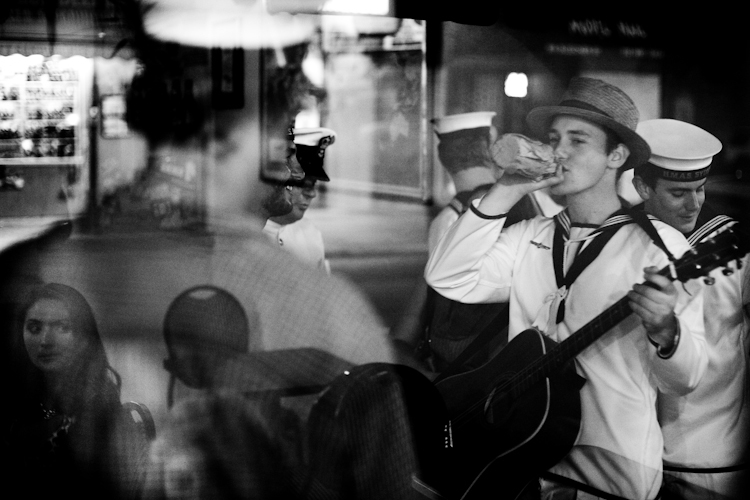 Street musicians, austrailian sailors, and girls. all in one photo. This shot is amazing... thanks, as always, for putting up photos for me to get lost in for hours at a time. Keeps me motivated man.